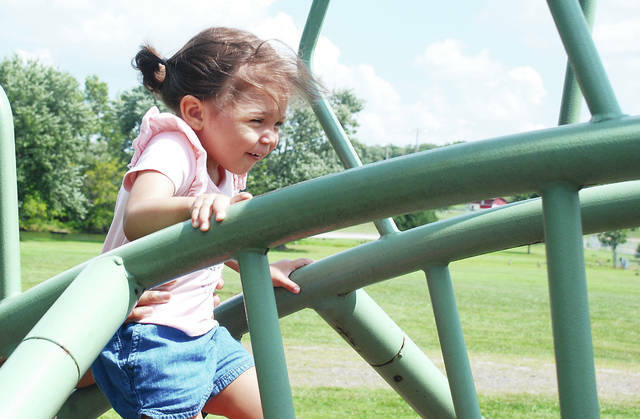 Tameron Browning, age 18 months, navigates the playground equipment at Melvin Miller Park this week. Summer temperatures returned to the area this week after a stretch of cool, rainy weather in middle August. Warm, sticky summer conditions are predicted to continue through Labor Day weekend and the week after.